With Oscar all set to leave Chelsea in January, Antonio Conte has already identified his replacement. According to a report from the Times, Monaco midfielder Tiemoue Bakayoko is the man Conte wants to sign. Conte is looking for midfielders who can operate within his unique 3-4-3 formation, and while Oscar doesn’t fit in the system, Bakayoko seemingly does. The French youngster’s physical strength can be a huge plus point for the Blues manager as he continues to reshape the Chelsea squad. The 22-year-old has been a consistent performer for Monaco, who are in contention for the Ligue 1 title this year, having already qualified from top spot from their Champions League group, ahead of Bayer Leverkusen and Tottenham Hotspur. 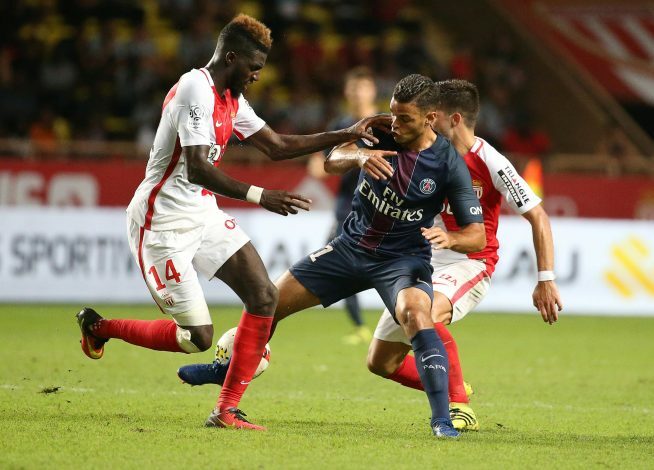 Bakayoko, currently in his third season with Monaco, has seen his reputation rise step by step since joining them from Rennes in 2014. The past summer, he was linked with a move to Manchester United, but now, Chelsea’s interest seems to be more concrete. The report also states that Bakayoko’s value could rise to as much as £40m, but Chelsea are expected to cash in huge money by offloading Oscar. The Brazilian is almost certain to join former Chelsea manager Andre Villas-Boas at Shanghai SIPG next year, a deal which will reportedly make the 25-year-old midfielder the third-highest paid player in the world. The move for Bakayoko, if it finally happens, would definitely see Conte dropping his long-standing interest in Roma’s Radja Nainggolan. Chelsea made several unsuccessful attempts to sign the Belgian midfielder in the summer, but the Serie A outfit rejected all of them.